Lactose intolerance is the inability to digest lactose, the sugar found in cow’s milk. It can begin from birth or develop at any age. If you find yourself feeling bloated and uncomfortable after eating dairy products, you may be diagnosed as lactose intolerant. If you are, it’s not a total culinary disaster these days because you can get pretty much every dairy product from milk to cheese to yoghurt in the Lactofree® range from Arla Foods. I’ve tried all these products and made lactose free porridge, Yorkshire puddings, scrambled egg, cheese and bechamel sauces with great success. In fact, you’d never know the difference. I don’t mind using milk substitutes such as chilled almond milk with breakfast cereals but it’s pretty horrible in tea and heated up in dairy-based dishes. The Lactofree® range is made from cow’s milk so you get all the calcium goodness and flavour of milk without the lactose sugar. I’d like to see them introduce 250g lactose-free butter packs as it would make baking much easier but, until then, I’m using the dairy spread. 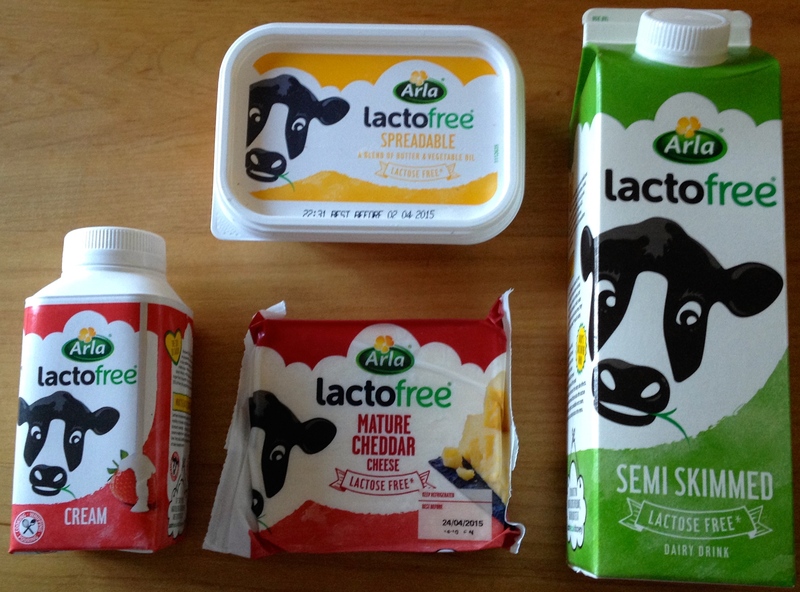 Arla has a really informative website all about lactose intolerance detection and elimination, where to buy the products (actually most major supermarkets – Sainsbury’s, Waitrose, Co-op stores, Asda etc.) and a recipe selection. To find out more check it out here. *Please note that Lactofree® is not suitable for cows’ milk allergy sufferers or those with Galactosaemia. This entry was posted in Food and drink chatter, Recipes and tagged Arla, Arla Foods, cow's milk, dairy product, dairy products, Lactofree, lactose, lactose free cheese, lactose free cream, lactose free milk, lactose intolerance, lactose intolerant, milk. Bookmark the permalink.